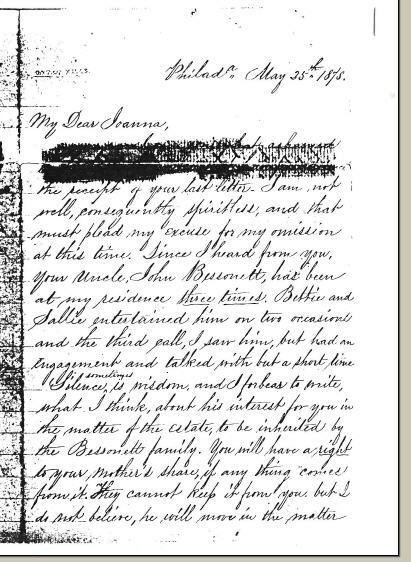 Joanna Painter (Fox) Waddill (September 24, 1838 ? January 3, 1899) was a nurse assisting wounded and ill Confederate soldiers during the American Civil War. She became celebrated as the "Florence Nightingale of the Confederacy" for her humanitarianism. Joanna Fox was born in Bristol, Pennsylvania, to James C. Fox and his wife Catherine Bessonett. Fox was a brickmason who moved his family to the Mississippi River port city of Natchez, Mississippi, when Joanna was a baby. Fox was only 22 years old when the Civil War erupted in early 1861. She and two other Natchez ladies traveled to the front lines to serve as volunteer nurses in such places as Mississippi, Alabama, Georgia, and Tennessee. When the Union Navy captured Natchez as they advanced toward Vicksburg, Mississippi, Waddill hid a Confederate flag under her petticoat to prevent its capture. Near the end of the war, Fox became the matron of the Confederate hospital in Meridian, Mississippi. There, she met Louisiana druggist George D. Waddill while they both tended sick and dying Confederate soldiers. The couple were married in Lauderdale, Mississippi, (near Corinth) on September 26, 1864. The couple moved to Baton Rouge, Louisiana, where they operated a drugstore for many years. She became active in the Confederate Memorial Association and other societies. Joanna Waddill and her husband are buried in Magnolia Cemetery at Baton Rouge. Ironically, the cemetery was in the middle of the Battle of Baton Rouge. The Joanna Waddill Camp #294 of the Daughters of the Confederacy is named in her honor. It is active in local Civil War memorialization. ^ a b Find A Grave Retrieved 2008-10-06. ^ Waddill biographical webpage. Retrieved 2008-10-06. ^ Library of Louisiana State University. Retrieved 2008-10-06. Fox: Joanna Painter (Fox) Waddill death notice probably from the Natchez Democrat. Fox: Newspaper article about Joanna Painter (Fox) Waddill and the flag petticoat. State Times, Baton Rouge, Louisiana, October 27, 1960. 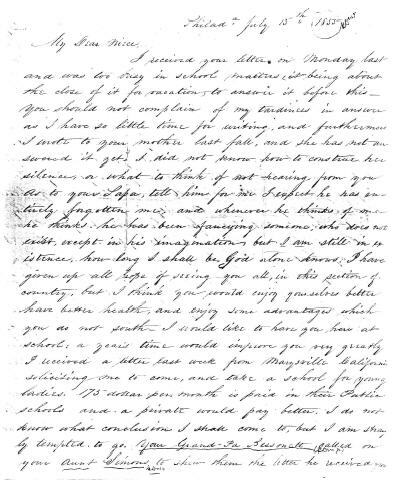 Waddill: Transcription of a letter writter by Mrs. M. B. McGehee to Joanna Painter (Fox) Waddill, December 12, 1864.